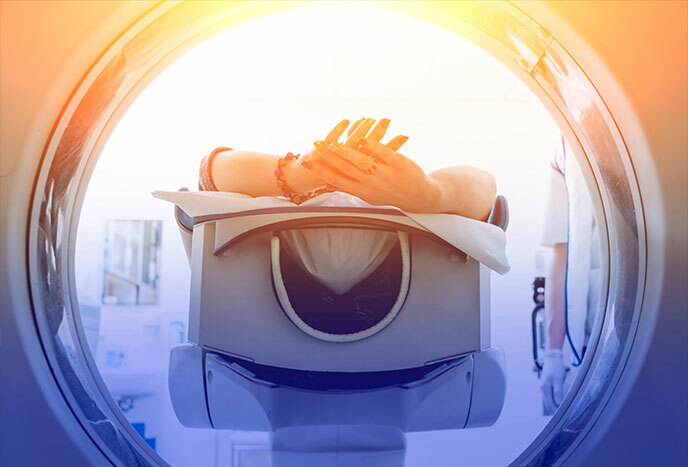 For nearly two decades Molecular Imaging Technologies, LLC (“MITech”) has been operating in partnership with a diverse range of healthcare providers to provide excellence in the field of molecular imaging. Our mission—and our passion—is to consistently deliver the highest quality diagnostic PET/CT services, providing timely information to physicians and patients to make informed decisions about disease and treatment options. We create facilities and an environment where we would take our loved ones and treat all patients with compassion, humanity, and professionalism. Originally formed in 1997 to commercialize positron emission tomography (“PET”) services, MITech was a true pioneer in the emergence of the technology within several leading research institutions. The Company grew by adding other nuclear scanning capabilities and by 2004 had converted all facilities with the commercially nascent positron emission tomography/computed tomography (“PET/CT”) and remains today one of the foremost providers exclusively focused on this service. Today we continue this mission as a leading national partner in the provision of PET/CT equipment and related services – offering our expertise to healthcare providers of all shapes and sizes – from the most prestigious academic institutions to vast healthcare networks, community hospitals, physician groups, or independent imaging facilities – where there’s a need for PET/CT there’s a place for MITech. Gary has been a Managing Member for MITech since 2011 and serves on the Board of Managers. Gary is responsible for the supervision and oversight of the Operations, Account Management, Physician Education & Marketing, Contract Management, Facilities Planning, Capital Investment, Service Capabilities, and Medical Equipment. Gary served in the US Air Force as a Financial Management Specialist and received an Honorable Discharge. He has over 30 years of experience in the HealthCare industry, owning and managing several Multi-Modality outpatient imaging centers (MRI, PET/CT, CT, Ultrasound, Bone Densitometry, Mammography, and X-Ray) in NJ and the Islands of St. Maarten & Puerto Rico, as well as, owning/operating Magnet Resources, Inc. a company that services MRI magnets and complete MRI & CT systems, in addition to selling pre-owned Medical Equipment Nationally and Globally. He is also a member of IAMERS (International Association of Medical Equipment Remarketers and Services). Gary graduated with an AA from Southwest Texas Junior College, AAS in Financial Management from Community College of the Air Force (CCAF), and a BA in Liberal Studies from Thomas Edison State University formerly Thomas Edison State College (TESC). Kreamer joined MITech in 2011 and is responsible for new site development, corporate strategy, contract and acquisition management, and new partnerships. His healthcare experience stems from serving in the Global Healthcare Advisory group at Collins Stewart, Inc (now Cannacord) and as an original investor, employee, and on the Board of Directors of MiMedx Group Inc (NASDAQ: MDXG). Kreamer graduated from the University of Pennsylvania with a degree in Economics. Tammy joined MITech as the CFO in April 2015, following MITech’s acquisition of Oncology Molecular Imaging, LLC (“OMI”) and is responsible for directing and overseeing the financial activities and performance of the Company including financial reporting, producing/maintaining the annual operating budget, forecasts, revenue targets, P&L, treasury functions, tax, external audits, and investor relations, as well as, supporting/overseeing operations, human resources/payroll, billing, and finance/accounting. Tammy is a CPA in LA and FL and has over 30 years of experience in the Finance field, with 20 years focused specifically to diagnostic imaging as the CFO for Oncology Molecular Imaging LLC, the Sr VP of Finance for PresGar Companies, and the Controller with Medical Imaging Centers of America. She graduated from Nicholls State University in Thibodaux, LA with a BS in Business Administration.